There are many awesome kinds of wedding rings available to choose from. Some may think that women have all of the fun when it comes to getting a vast array of options for this particular piece of jewelry, but that certainly is not the case these days. Men have just as much variety as women do. Lots of men are not aware of the many options they have when choosing a wedding ring. There are diamond wedding rings, cobalt rings, silver or gold rings, platinum or tungsten rings and many other materials you have probably never heard of! There are also different variations of the circular band that you may think you are stuck with. It is not a one size fits all type of deal. You can choose the width of your band. The width is measured in millimeters. Some men prefer very wide bands while others prefer bands that are significantly thinner. It is all a matter of personal preference. 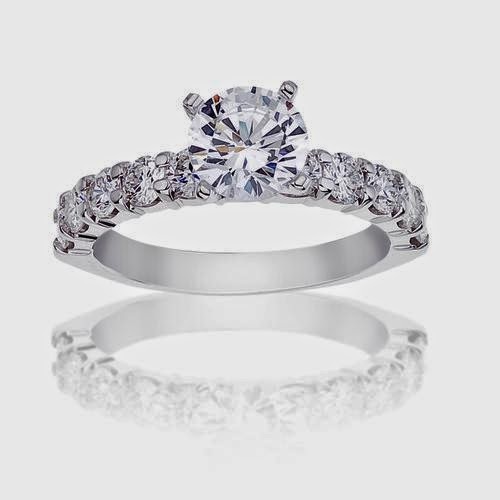 There is also a special design that tapers the edge of the ring where it rests on your finger. This comfort fit is designed to make the ring more comfortable and less aggravating for the man who is not used to wearing jewelry, especially rings. Custom Design Jewelry: Express Yourself!